This is a guest post by Brad Nierenberg, CEO & Founder at RedPeg Marketing. Some things just aren’t meant to be fun. Hiring is one of those things—a necessary evil, if you will. You have to create job postings, scour through hundreds of résumés, then schedule out several interviews in hopes that you’ll come away with a winner. It is time consuming and often monotonous, but that just means you need to put a fun twist on it. For me, interviews are less about the actual response to questions than it is about how the questions are answered. It’s there that you understand how people think, solve problems, and react to new situations. You won’t gain anything from asking a generic question like what are your greatest strengths? Ask questions you’d want to be asked, and ones you can actually benefit from asking—it will make your experience easier and put the candidate more at ease. Describe a team experience that you found rewarding. How do you manage a challenging team dynamic? Tell me about a time you were involved with a team project that failed. We’re not just looking for a personable candidate, but one that will work well within different team dynamics. Try some questions like these to discover what candidates find rewarding, how they handle challenging personalities, and how they respond to failure or obstacles. Their responses tell you a lot about their perspective and what motivates them. You can read between the lines, but most often, people will respond with genuine stories that make it easier for you to get a grip on who they are and what they value. What’s one thing, besides drinking, that you can use a straw for? If you were shipwrecked with the lead character from the last book you read, how well would that end for you? Explain to me, like I’m your grandparent, what your job would be working for this company. The questions that will help you determine the star candidates aren’t the ones that have a black-and-white, right-or-wrong answer. Out-of-the-box questions allow for you to evaluate the creativity and thought processes of each candidate, which in many cases is more valuable than the generic questions about their experience. You’re looking for thoughtful responses without shattering a candidate’s confidence or sabotaging the interview right off the bat. You’ll find that many candidates only prepare themselves for the basics, so you can weed out those who come unprepared, while also getting an idea for a candidate’s personality and ability to think on his or her feet. That’s what I call a win-win. What should I have asked you about that I haven’t already? What have you learned from your interview process so far? 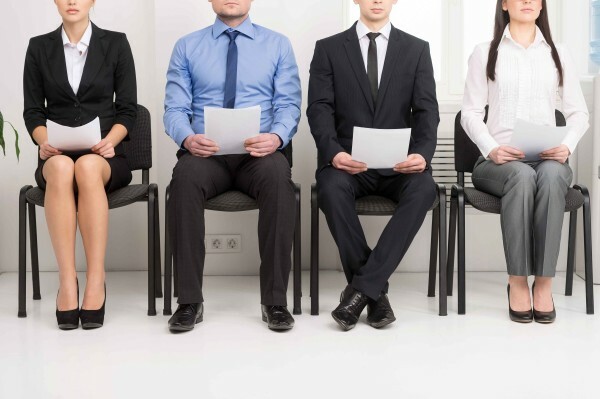 If you could change anything about your interview process with us, what would it be? The end of the questioning often signals time for the candidates to ask their own questions, but I like to flip the script on occasion. That means asking candidates about their interview process and gleaning some potentially valuable information on how I can improve it. Asking candidates about what you haven’t asked them yet or what you would change about the process will often be returned with blank stares and crickets. For those bold enough to respond though, you may end picking up some valuable insights and questions to ask the next round of candidates. What kind of environment is most conducive to your productivity? On an average night, how do you spend your time after work? What’s one thing you wish every company would have or employ at their office? Determining a good fit within your culture is not an exact science—most of that will unfold on the job. However, there are some good questions you can ask to get a better idea of a candidate’s values and personality. These questions are meant peel back the layers of a candidate and dive deeper than the often-scripted responses you’re prone to hear. This is what I really want to know. I want them to feel comfortable at my company and I want everyone to feel comfortable working with them.